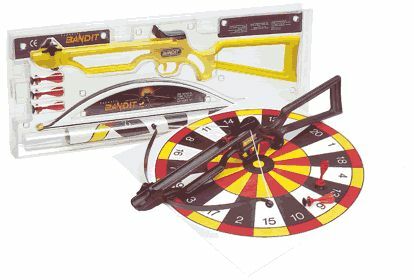 The Bandit has front and rear sights and is built to shoot only safety darts with soft suction cup tips. 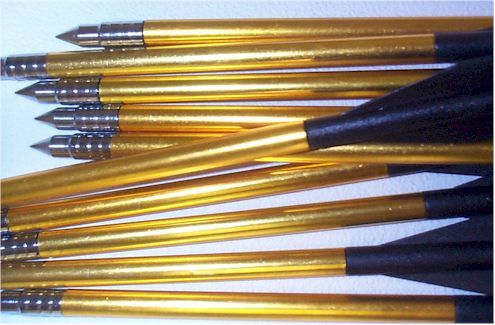 Includes three suction-cup darts. 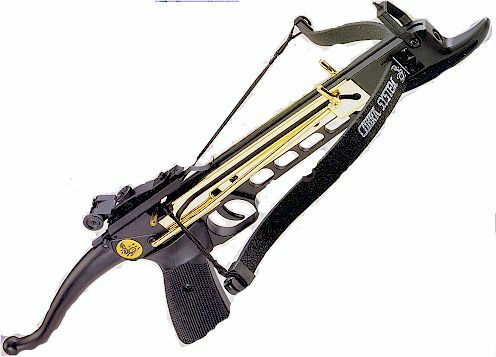 Often imitated but never bettered the Barnett range of pistol crossbows are popular the world over. 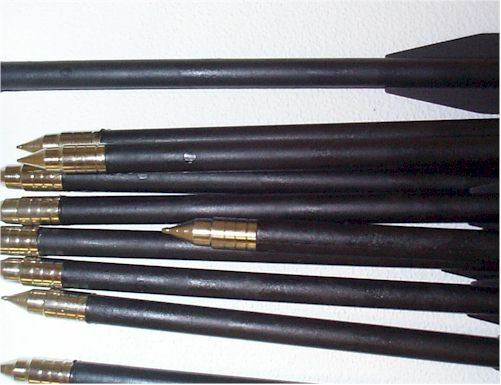 The 3 models cover draw weights 35,50 and Magnum 751b. The choice Is yours. 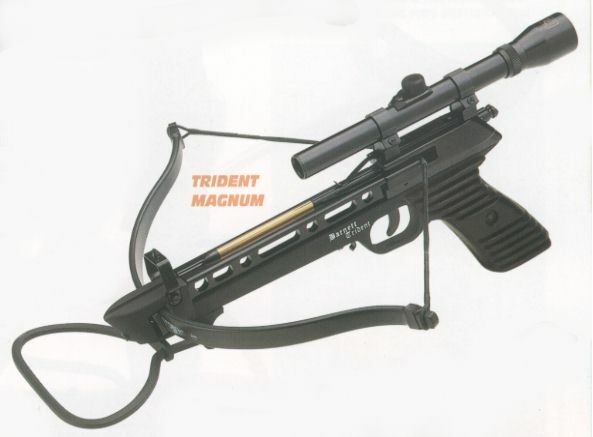 COMMANDO A break action, semi-automatic loading pistol. Developed along the original Barnett patented designs Commando's 50lb draw, Iron adjustable rear sight and bead foresight deliver the goods. 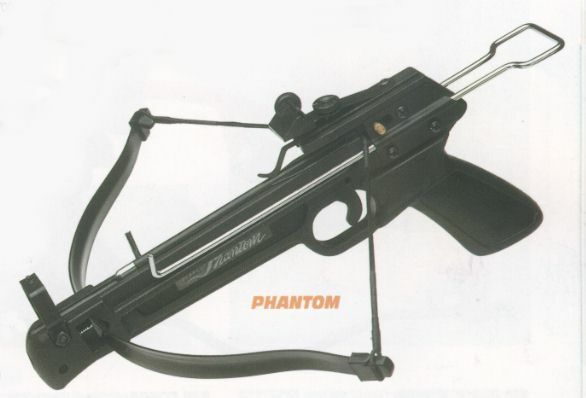 PHANTOM CROSSBOW: The 351b draw offers hours of enjoyment for the whole family. 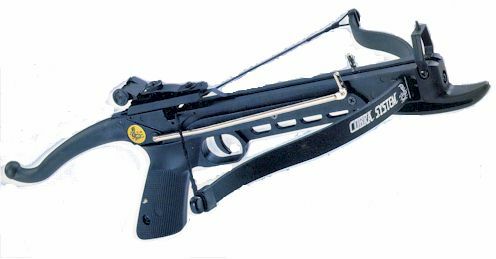 Phantom crossbow comes complete with adjustable rear sight and easy draw cocking hook.